As most of you are already aware, last year marked our first field season in which we managed to incorporate a public archaeology experience. While in the past we had the occasional volunteer or two at our Pointe-aux-Vieux site, 2012 at Orwell Corner represented the first time our work became uber-accessible to one and all, a fact on which we capitalized (as did the general public! 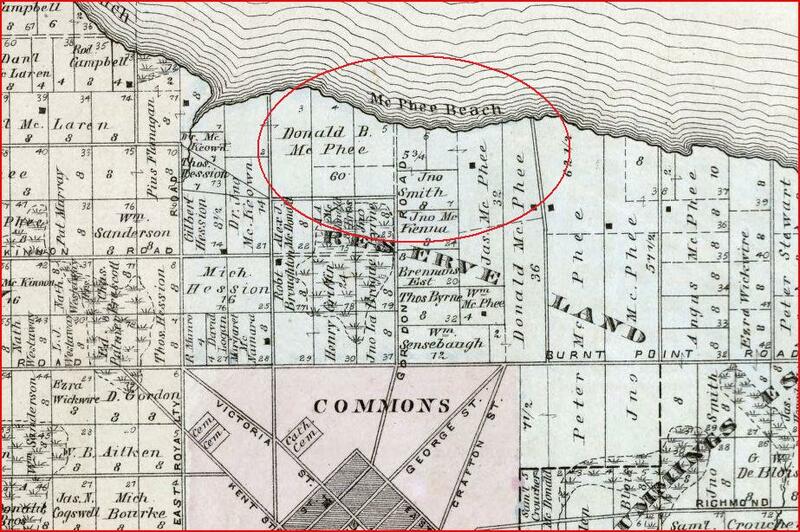 ); however, it was not the first time we attempted to reach out and bring Prince Edward Island archaeology to the people of Prince Edward Island (and possibly beyond). You see, while we always like to engage people on-site, every so often we like to take the opportunity to seek them out off-site. To paraphrase that iconic line from Field of Dreams: Present on it, and they will come. While it’s been a busy and somewhat hectic (ongoing) field season in 2013, we’ve managed to carve out more time to present our craft to the public, an activity we typically reserve for the off-season. Below is an account to date of our presentations/workshops. As you’ll see, we’ve spent quite a bit of time working with kids, and I know I don’t need to tell you that it has provided for some interesting experiences. The Provincial Heritage Fair is a grand celebration of Canada’s heritage, in the form of student history projects. Students in Grades 5 to 9 have an opportunity to explore the history of their families, communities, province and/or country. Anyway, this year (May 16), as in previous years, we were asked to put on just one of the many heritage-related workshops that are offered to students throughout the day. It was my first time involved with this venture, and I have to say, it was a blast. 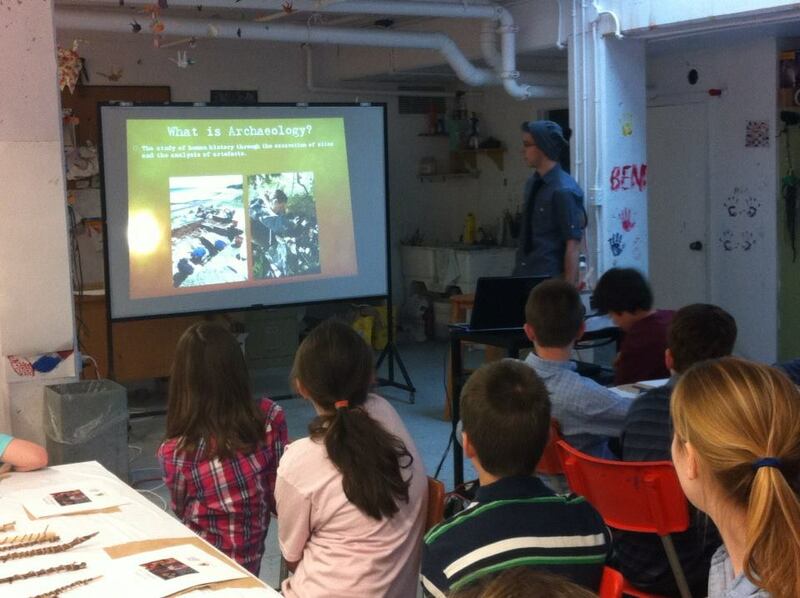 We presented to about thirty students on the basic theme of “What is Archaeology”. Essentially, we would ask them questions along the lines of “What is an artefact?”, “What is an archaeological site?”, “Why do archaeologists excavate sites?” and so on, allowing them to provide us with their own answers, after which we would then deliver a more professional answer (although to be fair, there were a lot of times when it wasn’t even needed, as kids can be really perceptive). We also included an artefact guessing game, and capped the presentation off with a workshop on how to make Mi’kmaq clay pots, giving them a chance to get their hands dirty. All in all, a tonne of fun, and illuminating for them, and for us as well. Isaac Stewart taking students through an archaeology slideshow presentation. Believe it or not, this photo actually captures the “learning how to make pot” moment. On July 11, we participated for the first time in the Panther Academy, a summer day camp program put on by the University of Prince Edward Island. They were looking to do something with archaeology, and when we found out, we eagerly offered our services. 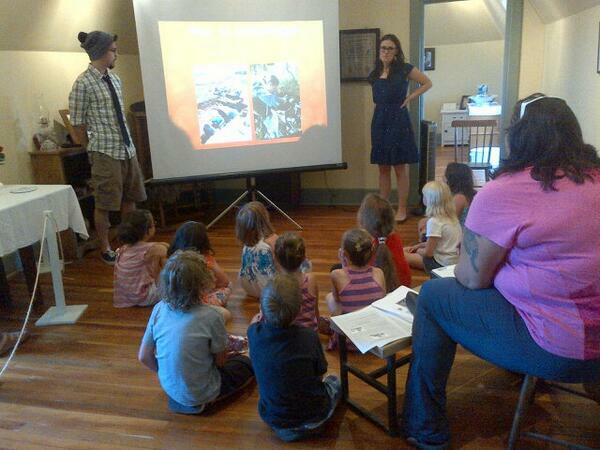 We gave the same presentation as the heritage fair, this time to a group of slightly younger students. We weren’t sure how they would take to the material, but they were quite energetic, and relished the question-answer format, which took us a bit by surprise. Because of time constraints, we held off on the clay pot-making portion of the routine, but opened the floor to extended answers on some of our questions. Again, a good time was had by all. 1) An elaborate and epic one-sided discussion of evolution by a seven-year-old, from trilobites to dinosaurs to humans. 2) Being taught the many ways in which a shipwreck can be exposed, including – but not limited to – a beaver that dams up a river. Meghan Ferris (back row, far left) and Isaac Stewart (back row, far right) with day campers at UPEI. Because we’re currently into our second year at our site in Orwell Corner, we decided that it was time to get a presentation together on the work we’ve been doing and let people in on some of our findings to date. On July 30, we crashed the Community Hall in Orwell, and presented to a not-so-numerous crowd of about eleven people, taking them through our public archaeology program, as well as our research into the material culture and human history of the site. Although it wasn’t the most well attended of presentations, it was still a success, and a great opportunity for us to fine-tune our public speaking skills, as well as refine our presentation, which we hope to give again at some point. 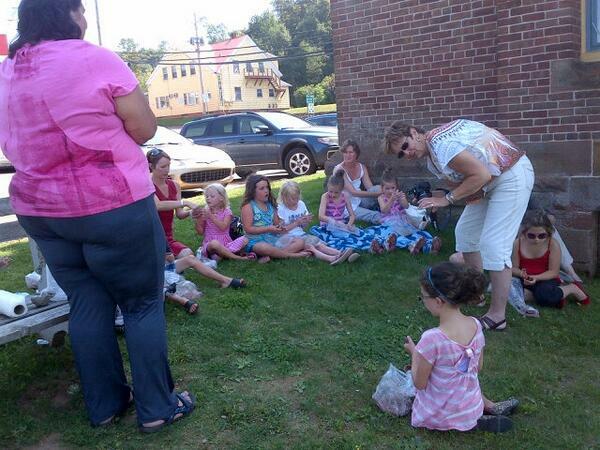 This past Wednesday (August 21), we hit up the Garden of the Gulf Museum in Montague the Beautiful for Museum Madness 2013. (Fun fact: the Garden of the Gulf is the oldest museum on the Island, established in 1958.) Back in June, we were approached by staff there about getting involved with an annual summer program called “Museum Madness”, a series of fun and informative weekly activities aimed at exposing children to history. 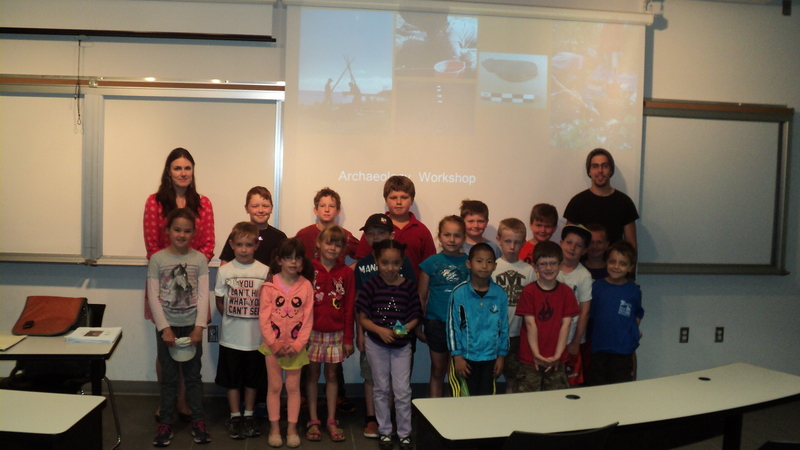 We used our by now tried and true presentation, taking a group of young kids between ages six and twelve through the basic aspects of archaeology. 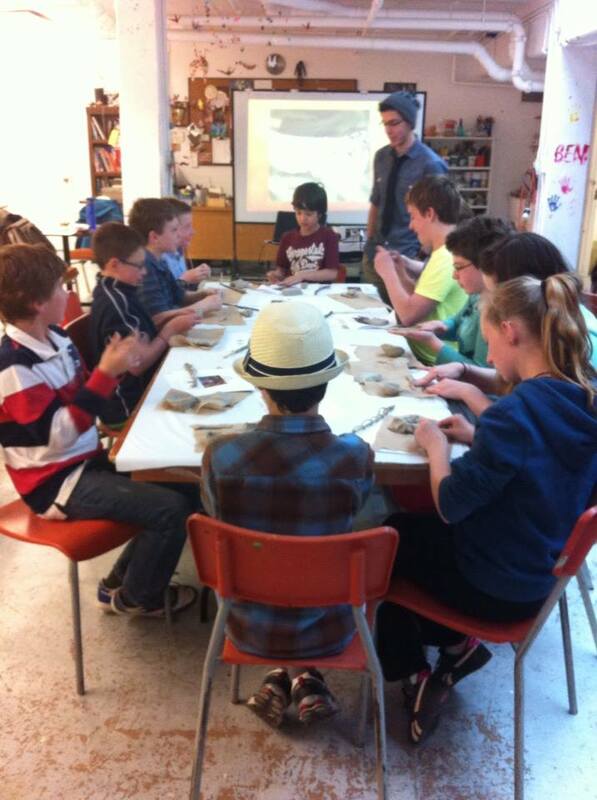 Afterwards, we took them outside the museum and taught them how to make clay pots – no marijuana jokes this time, thankfully! Watching the transition from intense clay pot-making focus to about a dozen kids taking their clay and mashing it every which way against the brick exterior of the museum in an attempt to make cool impressions. Isaac Stewart and Meghan Ferris presenting on archaeology, with Dawne Knockwood manning the slides. 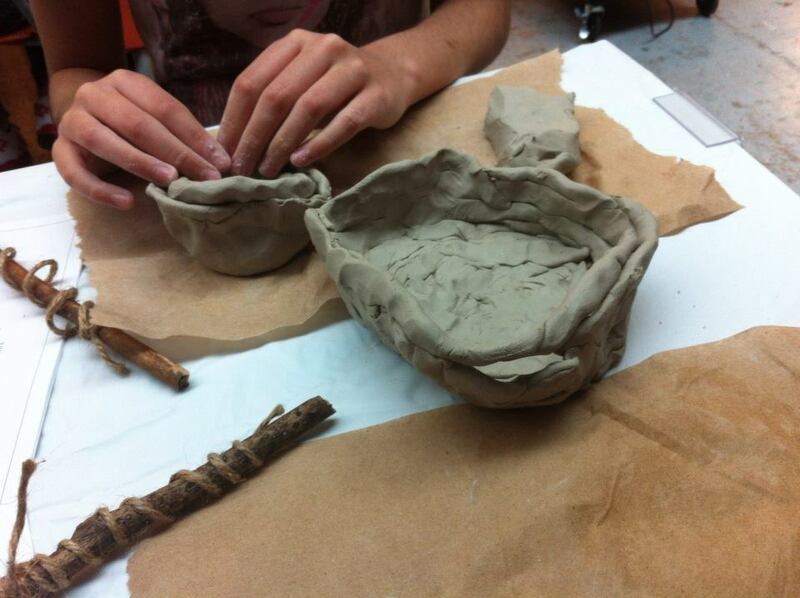 Dawne Knockwood giving a step-by-step workshop on how to make a Mi’kmaq clay pot. For all you landlocked landlubbers (check out that alliteration! ), one of the realities of living on an island is that you are constantly exposed to tidal action (literally from all sides, because you’re on an island, and that’s kind of how they work). Anyway, if you’re into beachcombing, it is one of your greatest allies, helping to shift the sands and bring things to the surface; however, if you’re into building multi-million dollar homes/cottages perched precariously close to the water…well, let’s just say you better enjoy them while you can, before Mother Nature has her fun. 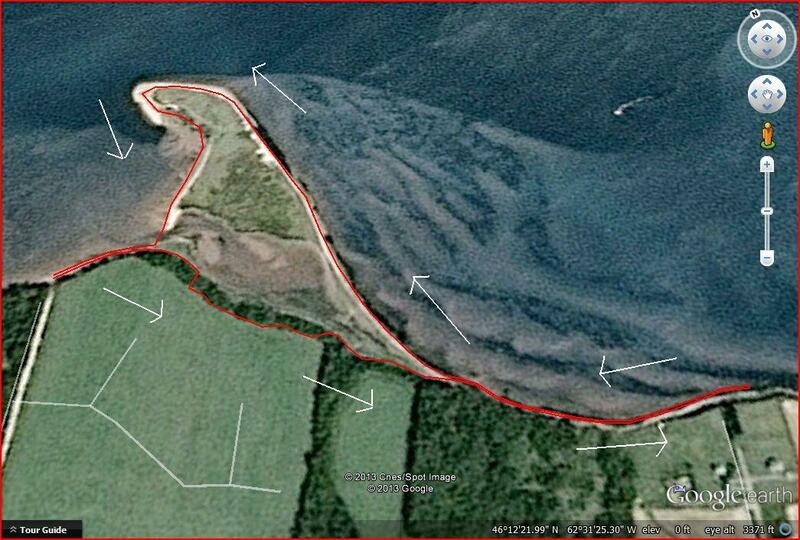 And if you’re into archaeology like we are, that tidal action is a two-edged sword. By times, it has proven detrimental to our sites located along the coast (notably in 2010, when three storm surges in as many weeks wiped out about half of our site at Pointe-aux-Vieux); recently though, as Dr. Kristmanson alluded to in her previous post, tidal action worked very much in our favor when it helped to expose the remnants of a ship off of Georgetown. As Dr. Kristmanson mentioned, there was that whole super-moon thing in June, which resulted in abnormally high tides. In early July, we received word that a shipwreck had surfaced at the entrance to Georgetown Harbor, and over a two-week period we spent about three days collecting what data we could to learn about the age and type of the vessel. Because we rarely deal with shipwrecks (even though the entire coastline of Prince Edward Island could accurately be termed a graveyard of ships), we’re more than a little out of our comfort zone on this one, which is why we are currently compiling all of the data into a report. When completed, this report will be sent to an Atlantic Canadian shipwreck/marine heritage expert we’ve been consulting, who will provide us (hopefully) with a few answers. So this will be a two-part feature, with the second act being a more detailed discussion of our investigation that we’ll put up on the blog whenever our expert gets back to us with his interpretation – predicated, of course, upon us actually getting the data into a readable format, which has been proving challenging to say the least, especially with our field season in full swing. Seriously. This has absolutely nothing to do with us being lazy. In the meantime, however, we thought it might be nice to tease you guys a little bit (alright, alright, I thought it would be a good idea), so attached below are the links to all of the media coverage the shipwreck received. Final count: 4 written articles, 3 radio segments (I could only track down two), and 1 televised news story. As Dr. Kristmanson pointed out, the amount of interest in this shipwreck affair was intense. We’ve never seen anything like it, and to be honest, we’re still scratching our heads a little bit (because we’re confused, not because we have lice). I mean, the work we do typically (though not always) gets a modicum of coverage simply because it’s archaeology, which is still a relatively new concept/practice on the Island; but for some reason, this particular investigation garnered a tonne of interest. The only caveat, however, is that you take the oral history you’re about to read/hear with a good pinch of salt. A really good pinch, even. Other than that, enjoy, and stay tuned for Part Two, headed your way at some point (but don’t hold your breath, by any means). P.S. – I’m calling it the “maybe” shipwreck because the possibility exists that it isn’t even a shipwreck in the traditional sense of the word (ie the vessel went down in a storm/disaster at sea). P.P.S. – And yes, I am aware that I used about the most unimaginative title out there for this post. 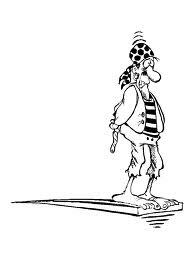 So you can either cut me some slack, or walk the plank. Recently we were called out to investigate a remnant shipwreck that had materialized on the shoreline near Georgetown, Prince Edward Island. The vessel had become visible after a super-moon tidal event had stripped the beach, exposing some articulated framework and timbers (Meghan Ferris and Isaac Stewart are shown below taking detailed measurements). Although the wreck’s name is unknown, many locals were aware that for decades it had quietly shimmered in and out of view and it wasn’t long before a few stories began to surface. Some identified it as a 19th century vessel delivering small pox victims to a quarantine station on nearby Poxy Island; others suggested it was a vessel delivering potatoes to Newfoundland in the mid 20th century. In fact, the only common thread was a mutual childhood memory of playing on a wreck of varying descriptions – depending on the age and recall power of the narrator. In spite of the odds against finding the vessel’s identity, the public imagination was ignited by the drama and intrigue associated with a wrecked ship and the tantalizing notion of treasure lurking amidst the ruins. The media followed us closely as we took measurements and photographs, ever conscious of the hovering gaze of history buffs and would-be fortune hunters alike. As for us, we were delighted and slightly surprised at the surge of interest. While we, too, were excited by the chance to investigate a shipwreck, for us it presented a unique archaeological site that required systematic documentation in order to collect every bit of information we could, knowing that the site could disappear again at any time. Our research and consultation with a marine heritage expert, however, soon led us to consider the strong possibility that the site may not even be a wreck! Given the angle at which the ship’s bow is positioned in relation to the strand line, it is likely that the vessel was either hauled ashore at the end of a useful life, or hastily manoeuvred onto the beach while in a situation of distress. In either case, anything of value, including the vessel itself, would have been sold off in bits and parts leaving little for the curiosity seekers and treasure hunters. Everywhere in the world people are fascinated by the idea of archaeological “treasure” and even though archaeological sites are protected by law, portions of the vessel (of no commercial value) began to disappear between our visits. Often, when armchair interest escalates to spade wielding (or the use of other exploratory devices) archaeologists and treasure hunters enter into highly charged territory. We had no such experience at Georgetown. We were delivered to the site each day by Steve McLean and his family, the people who brought the site to our attention in the first place and gave generously of their time and personal resources to assist in our work. A little more than four years ago, during excavations at Pointe-aux-Vieux, an 18th century Acadian site in western PEI (below), we were visited by a bespectacled and boisterous figure whose energy bounced off everything in sight. (In fact, his energy was matched only by that of the mosquitoes that greeted us with ferocious punctuality each morning to return every afternoon for fly-high-tea. Note that I’m not comparing him to an insect, just his energy level, which I admire – the insects, on the other hand, could afford to relax their regimen). During this visit, I noticed how our guest’s merry chatter was diverted each time he caught a better and closer view of the field-crew at work. With a mixture of joviality and disbelief, and without a trace of malice, he expressed his incredulity – in fortissimo – with zinging clarity and a distinct echo. His brewing verdict was registering loud and clear: these people are barmy! By this point, the folks at Lennox Island were probably lined up on shore with high powered binoculars trained on the site as the voice of Claude rang out across Malpeque Bay. Before long, as you may have predicted, our visiting skeptic gradually yielded to the curiosity that lured him back to the site again and again albeit as a confirmed Observer, if not yet Believer. Invitations to join us in our excavation units were met initially with hand-waving protest. But as he watched us trowel the soil, exposing objects last touched almost 300 years ago by his own ancestors – or at least their neighbours– curiosity replaced doubt and restless interest led to some pit-side grumbling (I want to do more than just watch!). An intellectual and emotional transformation was underway. Next thing we knew our doubting hero was participant extraordinaire. Claude Arsenault: Man about Birch Hill, Artist, History Buff, Aficionado of the Chinese Shar-Pei, Burgeoning Genealogist … Doubter… trowel in hand, dirt on knees, eyes alive with wonder, was hooked. Claude (pictured above) is the first to recount the story of his ‘conversion’ (much better than I ever could) and we have laughed with him many times about his inaugural visit – in fact he brings laughter to all of our times together. He has become a good friend to us all and is well appreciated as a clever, loyal, and enthusiastic member of our team whose devotion and passion to identify, preserve, and protect the Acadian heritage of which he is so intensely proud is commendable. Archaeological sites are, for Claude, a direct portal to the past and through their unique materiality add a dimension of understanding that is exclusive to our discipline. But for all that he’s contributed as volunteer and ambassador for Acadian archaeology in PEI, I’m perhaps most grateful to Claude for the honest uncertainty he courteously (and, as always, volubly) shared with us during his inaugural visit to Pointe-aux-Vieux. Visiting non-archaeologists ask spontaneous questions unfettered by the epistemological and ontological prisms that shape and are shaped by archaeological thought. Their questions, if we care to think about them beyond face value, can help us to view our practice from another perspective. As professionals we allocate a certain amount of time to engagement with other archaeologists through conferences, academic literature, and professional consultation; settings where knowledge is shared amongst individuals conversant with archaeological parlance which, as with most disciplines, appears arcane to the uninitiated. By contrast, each time we interact with the public (or the media) we are required, in the space of a few jargon-free minutes, to explain ourselves so that the layperson is given a meaningful understanding of -and experience with- our practice. Albert Einstein reportedly made the observation that if you can’t explain to a six year old what you do, you don’t understand it yourself. While most archaeologists are not usually required to explain themselves to small children, we get Albert’s gist. Is there anyone who doesn’t appreciate the rare elegance and simplicity of clear writing and/or verbal explanation? But until we take a stab at it for ourselves many of us tend to take good communication skills for granted. In PEI, we have used our interaction with the public to gain a little more awareness about what we do and why we do it. Along the way we’ve gained some insight as to the broader impact and contribution of our work, all of which, I hope, is improving our ability to communicate. We find some clues as to how we’re doing in the questions and comments posed to us by site visitors. Like the looking glass, the public reflects back what we have, or have not, put before them. Our experience working with visitors and volunteers in PEI has also taught us a great deal about the myriad perceptions of archaeology out there and given us pause for thought about the somewhat elusive concept of public archaeology, which appears to be many things to many people. We have benefited from our experience with Claude and other visitors and volunteers, but we have never attempted to convert anyone from skeptic to believer. As with most people who visit us on site, Claude was receptive to learning something new. It wasn’t long before we had to instruct him not to lovingly kiss those artefacts that had to him only weeks before looked like rocks and unidentifiable refuse. He realized, as the wise saying goes, that the more we know the less we know and he was keen to learn about archaeological field methods, the importance of stratigraphy and context, and the proper way to handle and process material culture. In other words, Claude’s transformation was an intellectual response to new stimuli and a little pedagogy – no sermonizing! Through his experience with public archaeology Claude became an informed advocate, eager to share his new knowledge with others. For us, public archaeology is about creating a controlled environment in which people who are not trained in archaeology can, with supervision, experience for themselves the (meta)physical contact with the past that is unique to archaeological field work. At the same time, our volunteer excavators begin to gain an appreciation of how and why archaeological research is governed by rigorous methodology and, if they stay long enough, to learn something about site formation processes and the heuristic value of identifying artefacts and features in situ. 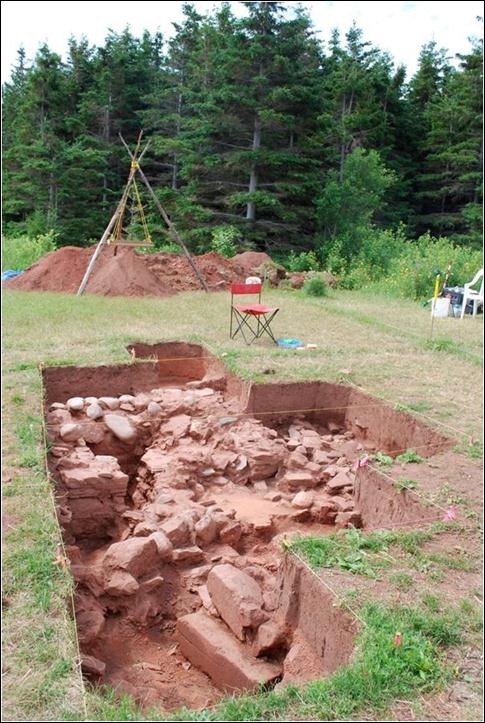 In 2012, at the invitation of site manager Tom LeClair, we initiated a public archaeology program at Orwell Corner Historical Village, a 19th century Scottish settlement preserved as one of the seven sites of the Prince Edward Island Museum and Heritage Foundation (pictured above). The primary objective of our project at Orwell Corner is to foster public appreciation of archaeology and Island heritage via systematic excavation of the foundation of one of the village’s forgotten homesteads (circa 1860-1930). From the perspective of Orwell Corner Historical Village, on-site archaeological excavations enhance visitor experience by giving people from all over the world a chance to interact directly with the personal space and belongings of people who lived in this Scottish village 80-150 years ago. After excavating with us visitors walk up to the village where they can trace the steps of the vanished inhabitants whose home they just excavated: a stroll by the extant church and cemetery, a stop into the old schoolhouse, lunch at the community hall and a walk around the original Clark’s Store where lining the shelves in profusion are the diverse items required by the 19th and early 20th century rural household, many of which are also recovered in our excavations. The volunteer may recognize objects he or she excavated in a fragmentary state at our site as items perhaps purchased at this store and used by the people who lived in the village. 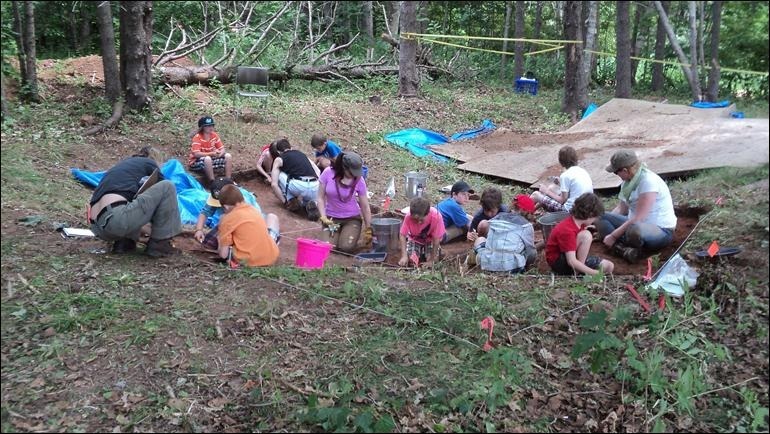 For Islanders, many of whom descend from the Scottish settlers at Orwell, the public archaeology program at Orwell Corner Historical Village is a tribute to our heritage, a reminder of where we came from, and a point of comparison for where we are headed. 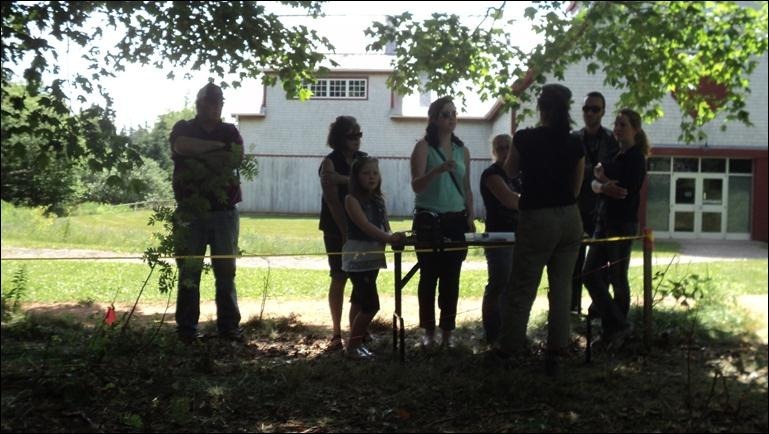 With the help of the press and social media we have raised, ever so slightly, the profile of archaeology in Prince Edward Island via this project (Meghan Ferris, below, explains the site to some visitors). Our best evidence for this is the recent 10,000th view of our blog, something to celebrate! From my viewpoint the benefits of this project are wide-ranging. 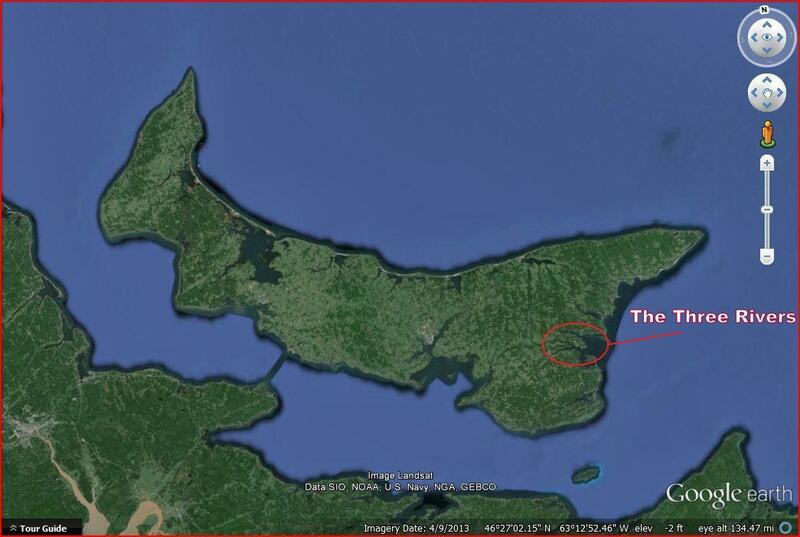 One might logically conclude that for Prince Edward Island, a small sandstone mass in the Gulf of St. Lawrence, a prime archaeological concern would be loss of sites to erosion. Indeed, threatened sites are a priority and we are working to create a strategy to identify the Island’s most vulnerable shoreline areas. 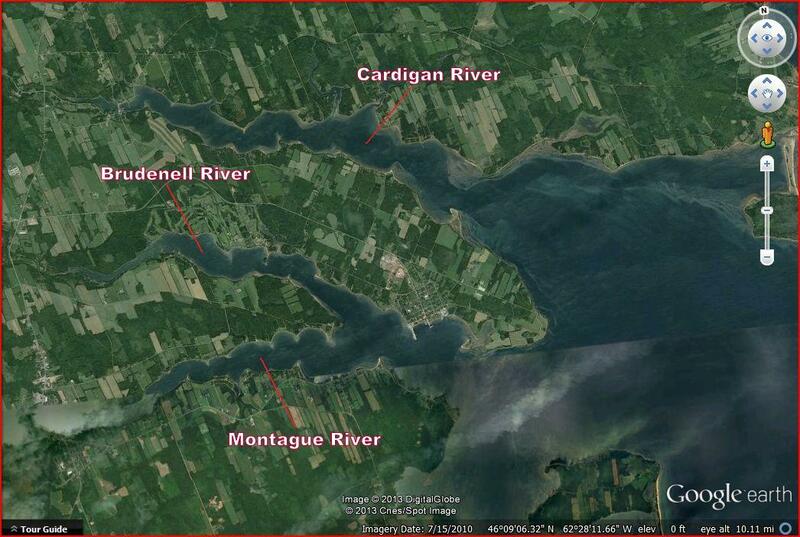 In collaboration with provincial climate change scientists who have generously shared valuable erosion data, we will be able to target areas most likely containing endangered archaeological sites. We are also conscious of other potential impacts on archaeological sites and we do our best to prevent sites from unwitting destruction by human activity. We figure that our best chance is to increase awareness and invite as many new people as possible to explore firsthand the wonders of Island archaeology. In addition to working with the public we are also making efforts to develop local expertise. In 2009, we hired an archaeological intern, the above-mentioned Meghan Ferris, who is now with us in capacity of Research Assistant, and who assists with all archaeology as well as the important work related to duty to consult. Each year since then, I’ve hired 2-3 summer students and provided training in archaeological method, theory, and post-excavation process (special thanks to the Mi’kmaq Confederacy of PEI for supporting a Mi’kmaq student to work with us each summer). This seems like a good opportunity for me to brag about this year’s summer crew: Isaac Stewart, Dawne Knockwood, and of course Meghan Ferris; three bright and hard working young people who represent the promising future of archaeology wherever life takes them – although I hope their future adventures will lead them back to PEI (this includes Shalen Trask, another one of our shining lights). Together we have conducted site reconnaissance, shovel testing, systematic excavation, site survey, artefact processing, interpretation, archival research, interviews, and report writing. The students have also been given the opportunity to present at academic conferences, schools, heritage fairs, historical societies, and university and museum day camps. Each is by now quite comfortable with and adept at speaking with the public, the press, and guiding volunteers through the excavation and post-excavation processes all of which, I hope, will help prepare them for a future in archaeology. When we are the first to touch an artefact that’s been buried for generations, or perhaps millennia, there’s an inexplicable connection we make with past humans that sparks an emotional response no matter how strict our allegiance to scientific objectivity. As archaeologists, in spite of our good intentions and sincere efforts, it’s difficult if not impossible to communicate through text or the spoken word that special sense of awe that is unique to archaeological discovery. By sharing this rare experience with others and giving a window into our world we foster appreciation of the past and help to communicate the relevance of archaeological inquiry. The more people who share our view as a result of their public archaeology experience, the less we will need to rely on legislation and regulations to protect and preserve our heritage. Remember when I said that we’ll be making an effort to get some new material up on this blog in the next little while? You know, about our field season and research and stuff? Well, that’s still the game plan. But the other day, as I was looking for good archaeology blogs to follow, I stumbled across Trowels and Trenches, and since then I’ve been quite enjoying reading it – so much so, in fact, that I thought I’d share it with you. I singled out this particular post because we’re currently in our field season, and I think that it (the post) is a great summary of what we do, even if our processes may differ somewhat. What’s more, the post is witty, which I like. And by the way – just in case you’re wondering – yes, this piggybacking is partly an attempt to stall and buy more time to organize our thoughts and get some writing done. Guilty as charged.